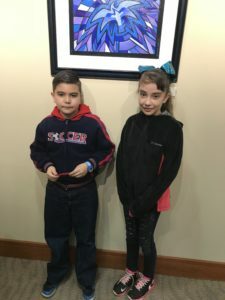 SHINE second-grader Misseal and his sister Joselyn waiting to present in front of a panel of Washington County officials. 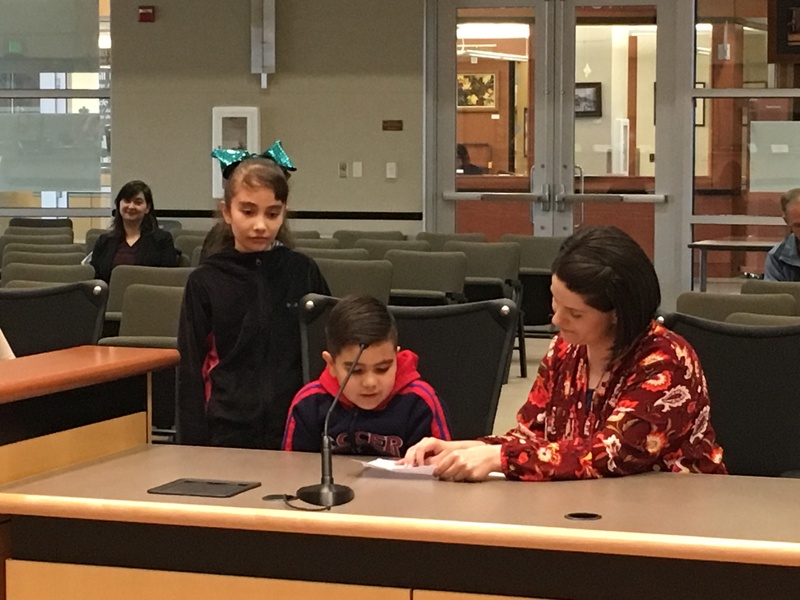 Missael, a student at Kinnaman Elementary School, read from a neatly written page, speaking about his experiences at Impact NW’s SHINE Community School to a panel of Washington County representatives. Each year, Impact NW seeks support from Washington County to sustain services for students and families. Providing support to 1,200 students and their families each year, Impact NW’s four SHINE Community Schools have offered empowering classes, academic support, and community events over the past decade. The schools are offered in schools throughout Washington County. The brave second grader sat beside his sister, Joselin, and Jessica Beck, the SHINE Supervisor at Kinnaman Elementary. Both encouraged Missael as he spoke. In addition to the variety of after-school classes offered to students, SHINE offers support to a growing number of families experiencing poverty—as of 2016, over 12% of families with children in Washington County were living below the poverty line. A formerly resource-rich community now finds more than half its residents in need of SNAP (formerly known as food stamps). And according to the Statewide Report Card, Beaverton School District has the highest number of homeless students. SHINE fulfills a desperately needed resource in our community: helping children needing additional support to prepare for school, graduation, careers, and adulthood. Students like Missael demonstrate that SHINE makes an impact every day!